Much has been said lately about the poor catechesis of young Catholics over the past fifty years. One of the most important tools that the Church uses to teach is the words and actions used during the administration of the sacraments. Many Catholics tend to think of the seven sacraments only as channels of grace for living the supernatural life in Christ, but they are also critically important for teaching purposes, since they express the will of God and the doctrines of the Faith in a very concrete fashion. Sacramental moments are the most important in every Catholic life, and every detail of their administration and reception should be as solemn and as perfect as possible. That they have not been so, and in fact cannot be to the younger generations growing up since Vatican II, is because the new rites do not express the Catholic Faith without ambiguity and confusion. The results are clear to see in the catastrophic decline in practically every statistical and spiritual indicator for the last fifty years. The lack of clarity, erroneous doctrines, protestantized phraseology, and modernist lingo that characterize the new rites makes it fairly certain that a decline of faith and morality will follow inevitably from the reception of the sacraments in the new rites. In fact, we no longer have to predict that result. The history of the last fifty years proves it to be true. 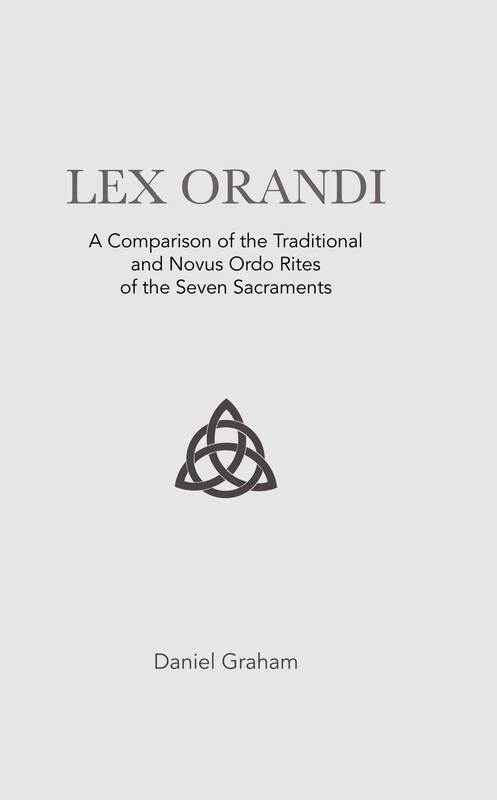 Lex Orandi is a clear and succinct analysis of the differences between the Catholic rites of all seven sacraments as administered from time immemorial and the new rites brutally forced upon the Faithful in the wake of the Council. It is also a call to the Faithful to reject reception of the sacraments in the new rites and demand that their pastors administer the ancient rites as they have always been administered. Church law, and the primary Canonical imperative of lex suprema est salus animarum should compel the Faithful to demand their rights, so that God is honored and souls are saved.